The ocean provides the perfect backdrop for our late summer yoga retreat. 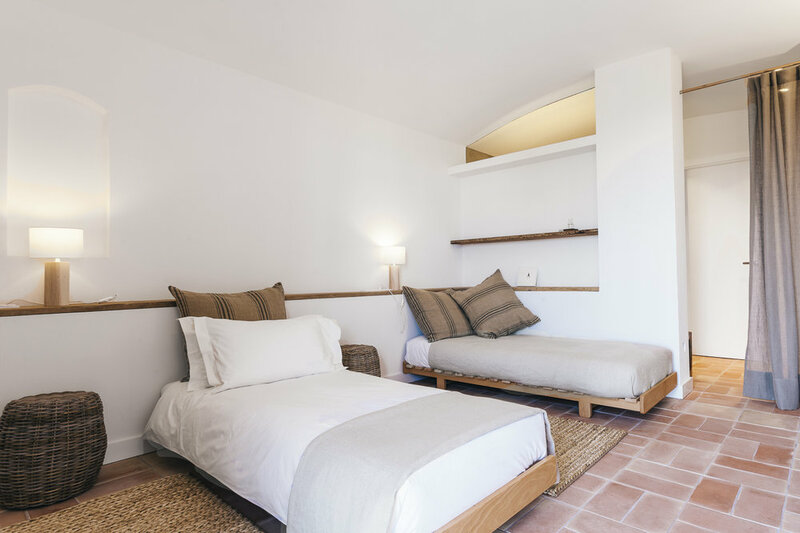 A real chance to disconnect from social media and connect back to nature whilst we stretch out those last days of summer and our bodies in an ethically designed private villa on the Costa Brava coastline. On retreat you will have the time and space to focus fully on your yoga practice ,then the rest of the day will then be yours to take a walk to nearby beaches, villages or simply relax by the pool. 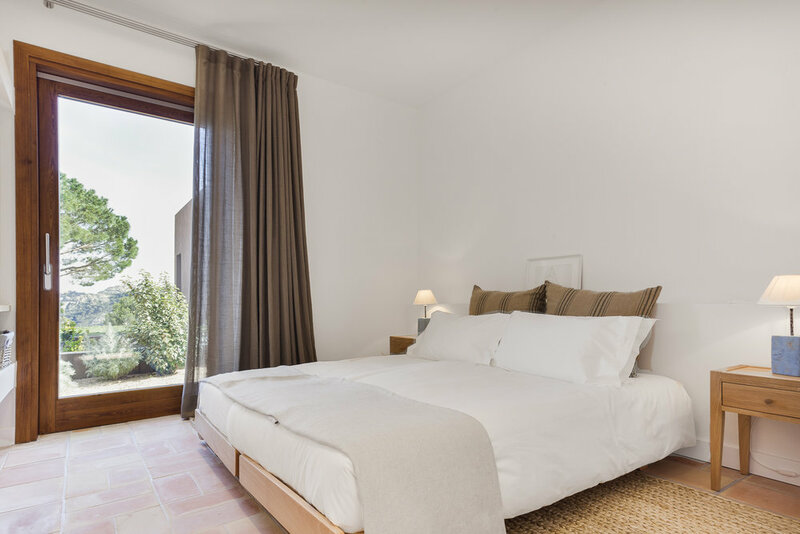 Pi Blau is a stunningly eco-villa situated above the picturesque bay of Aiguablava on the Costa Brava coastline, the private villa is only a short 10 minute walk to the local beaches and is known for its year round mild and sunny climate. In between classes you can enjoy the outdoor living areas, lounging by the saltwater pool, enjoy napping under the shade of the pine tree, lying in a hammock in the mediterranean garden or relaxing on the sofa under the pergola. If you want to explore the local area more there are a number of walking trails with either pine forest walks or coastline walks with amazing views of the surrounding bays. The Yoga room is a spectacular, purpose built studio (100 square metres),and is fully equipped and spacious, with big doors opening to a sea view and which benefits from lots of natural light and a sea breeze. A large communal space on the ground floor of the studio also gives you chance to relax in comfort. Every room is equipped with a private bathroom and high quality natural sleeping comfort. Organic Mattresses, organic sheets and towels. Blackout curtains and underfloor heating. Villa Pi Blau offers healthy home-cooked Mediterranean cuisine. All the finest vegetables, fruits etc are locally sourced and organically grown is favoured whenever possible. Healthy vegetarian/vegan dishes are offered at every meal and there will be purified water, tea’s, coffees and snacks available. There will be two yoga sessions a day of varying lengths,we will start the days with silent sitting and then flow through a dynamic morning practice ,with suitable modifications to accommodate individual levels which we will build on to deepen your yoga practice. We also highly recommend the Salvador Dali route, the best way to discover the great work of this famous 20th century artist. In Figueras, you will find the Dali museum. And in Port lligat, a small town close to Cadaques you can visit his home. Girona airport – Ryanair and Transavia. An Airport pickup will be arranged travel to villa is just under an hour. Cost will be dependent on numbers travelling together. Alternatively you can get a train from Barcelona to Girona. A station pickup could be arranged to Villa. Cost dependent on numbers. To guarantee your place a non-refundable deposit is required. (Option to pay in instalments if this can help you attend my retreats ).